TQCS International (TQCSI) commenced operations in mid-1995 and now operates out of 29 offices with over 6,000 certifications in 40 countries throughout Australia, Asia, the Middle East and Europe. Our Head office is located in Adelaide, South Australia, and we are now the 3rd largest JAS-ANZ accredited MS certification body in the world and 2nd largest in Australia. 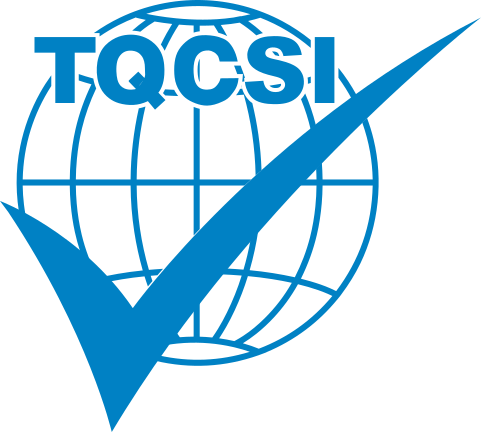 TQCSI is JAS-ANZ accredited for Quality (ISO 9001, NSQHS & NSMHS Standards), Environmental (ISO 14001), Safety (ISO 18001 & AS 4801) and Food Safety (ISO 22000, FSSC 22000 & HACCP). We have developed a HACCP Code which is one of only a handful of such codes registered by an accreditation body, anywhere in the world. TQCSI also certifies clients to the Quality, Health, Safety and Environmental (QHSE) Code and Small Business Quality Management Code (SBQMC), both published by TQCSI and used by smaller businesses to pre-qualify for government agencies and major customers. TQCSI services a broad cross section of business clients from all sectors of industry and can provide certification to companies and organisations anywhere in the world.